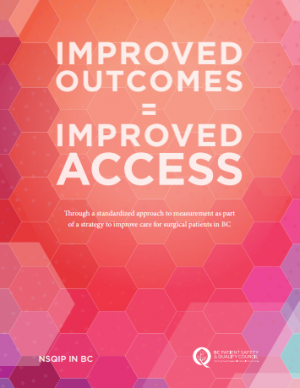 Our vision for surgical care in BC is to use evidence-based, data-driven programs, to decrease complications and infections, and provide better outcomes for the 200,000 British Columbians who undergo surgery each year. In order to achieve this vision, we focus on innovative approaches, improving teamwork and communication amongst surgical teams, tracking and evaluating patient outcomes, and disseminating best practices. Learn about our surgical improvement work. This review examines the change in NSQIP data from 2011 to 2015 with the goal of quantifying improvements efforts. The primary focus was to assess changes in adverse outcomes; examine system capacity gained through reductions in length of stay, readmission, and reoperations; and describe organizational characteristics around data sharing and communication. In 2015, we launched an improvement collaborative to reduce infections occurring after surgery. 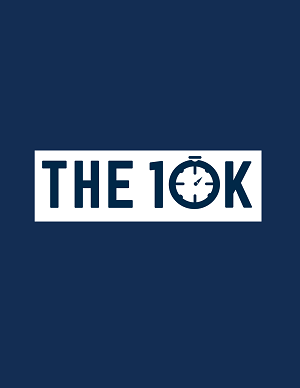 With 10,000 surgical patients in BC suffering from a surgical site infection (SSI) or urinary tract infection (UTI) each year, the “10K” focused on 10,000 Reasons to Race for Infection Prevention and aimed to reduce SSIs and UTIs at participating teams’ sites by 50% by November 2016. NSQIP 2.5 Years After Startup: Is it Worth It? What does it take to provide top surgical care in BC? Crowdsourcing Surgical Improvement – The Results!